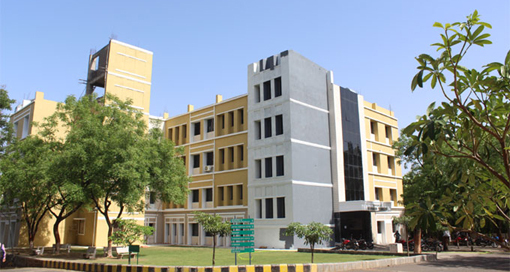 The Department of Information Technology is established in 2001, conducts one UG program in Information Technology with intake of 60 and PG program, M. Tech. in Information Technology with intake of 18. Department is approved research centre of Rashtrashant Tukadoji Maharaj Nagpur University for Ph.D. program. Majority of faculty members are expertise in the fields of Image Processing and Computer Vision, High Performance Computing, Data Mining & Machine Learning and Computer Networking. The department also administers the student's chapter of Computer Society of India (CSI) for YCCE, and conduct various technical events such as programming contests; code night battle, technical quizzes, web designing, etc. The student's council SPIRIT (Society of Passionate Individuals Representing Information Technology) has been formed with the objective of all round development of students. SPIRIT regularly conducts co-curricular and extra-curricular activities as inter/intra college competitions. The Department has 'AURA' student forum. Under this forum, we conduct various social cause activities like cloth donation, Blood donation, Book donation, helping poor background people, etc. Every year department published Magazine – “Maadhyam” and Newsletter – IT “NewsTrack”. With active interaction with the industry students are encourage to participate in internship programs, research activities, project competition and technical paper presentations. The department regularly organizes industrial visits, induction program, student development program, guest lectures, seminar, workshops, in-house training, webinar, etc. Vision To become a centre of excellence in Information Technology, capable of producing globally competent IT professionals, Committed to well- being of industry and society and to promote research and development in the department. Mission To produce globally competent and responsible IT professionals, capable of facing the challenges of Industry and society, individually and in teams and to impart in-depth knowledge of fundamental principles and technical skills in Information Technology. PO 1 - Engineering Knowledge: Apply knowledge of mathematics, science, engineering fundamentals and an engineering specialization to the solution of complex engineering problems. PO 2 - Problem Analysis: Identify, formulate, research literature and analyze complex engineering problems reaching substantiated conclusions using first principles of mathematics, natural sciences and engineering sciences. PO 3 - Design/ Development of Solutions: Design solutions for complex engineering problems and design system components or processes that meet specified needs with appropriate consideration for public health and safety, cultural, societal and environmental considerations. PO 4 - Conduct investigations of complex problems: Use research based knowledge and research methods including design of experiments, analysis and interpretation of data and synthesis of information to provide valid conclusions. PO 5 - Modern Tool Usage: Create, select and apply appropriate techniques, resources and modern engineering and IT tools including prediction and modeling to complex engineering activities with an under- standing of the limitations. PO 6 - The Engineer and Society: Apply reasoning informed by contextual knowledge to assess societal, health, safety, legal and cultural issues and the consequent responsibilities relevant to professional engineering practice. PO 9 - Individual and Team Work: Function effectively as an individual, and as a member or leader in diverse teams and in multidisciplinary settings. PO 11 - Project Management and Finance: Demonstrate knowledge and understanding of engineering and management principles and apply these to one’s own work, as a member and leader in a team, to manage projects and in multidisciplinary environments. PO 12 - Life-long Learning: Recognize the need for and have the preparation and ability to engage in independent and life- long learning in the broadest context of technological change. PSO1 : The students will be able to Explain and Apply the core concepts of Information Technology, principles and Tools to implement IT systems effectively. PSO2 : The students will be able to integrate broad engineering and interdisciplinary knowledge into IT systems. Department is having a separate building of 3 floors with buildup area of 2642.99 Sq.Mtr. Department is running one UG (regular) and PG (regular). Department is an approved Research center for doctoral research (PhD program), with 6 number of registered candidates. 11 state of the art laboratories, equipped to cater in-house workshops and value added courses. Infrastructure as per AICTE norms: 3 e-classrooms, 2-tutorial classrooms, 1 Air Conditioned conference hall, 1-Department Library / Board Room, 1 Girls common Room. Department is having 16 dynamic, experienced faculties. PhD: 03, PhD pursuing: 06 and M. Tech. : 07. The area of expertise of faculty is broad spectrum, which includes Digital Image Processing and Computer Vision, High Performance Computing, Data Mining & Machine Learning and Computer Networking. Collaborative Research with Harvard University and DMIMS, Wardha. Collaborative Research with Indonesia and DMIMS, Wardha. SPIRIT (Society of Passionate Individuals Representing Information Technology). AURA – social activity student forum. Hands-on training is given on latest technology looking at the current need of Industry to the students. Regularly organize Workshops, Short Term Training Program and Faculty Development Program. Every Year Department publishes Wall magazine ‘Disha', Annual Magazine, ‘Maadhyam, and Newsletter ‘IT NewsTrack’. The department has P-IV machines, latest i-3 machines and also Apple Mac Mini Machines connected to servers through Campus LAN. Access to internet for students and staff through 90 Mbps leased line.